Release phobias and other fears that interfere with your life. Imagine a life free of irrational fear. What would you would do without fears, doubts and limitations? Free yourself from phobias and panic attacks. You can live free, breathing easily through every situation. We have had incredible results with this very simple process. Choose Your Adventure, Take a Walk with me! This is an amazing metaphorical analysis of what you need to pay attention to in your life. We are always on the path, going somewhere, learning something. The path is usually random and the lessons may be rather obscure. Most of us don’t step out onto our path every day with a focused intention. The Walk in the Forest is an analytical hypnosis session to ask your mind what needs attention and what change you are most in need of now. When I made this session I had chills. The experience of the forest was very illuminating and inspiring for me. I felt very loved and healed and content at the end. 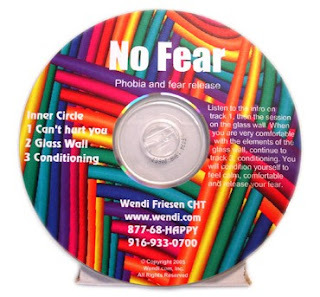 Each time you use this CD you will have a new experience, a new lesson and a new healing. Be sure to do this session at a time when you are aware and engaged so you can appreciate the entire experience and take the memory of it with you. No falling asleep during the session! At the end, I left it up to you to emerge or continue to meditate.